When you sail with Danger Charters, you sail to another world and time; to a place where the wildlife is still "wild", and your interaction with nature is intimate and authentic. 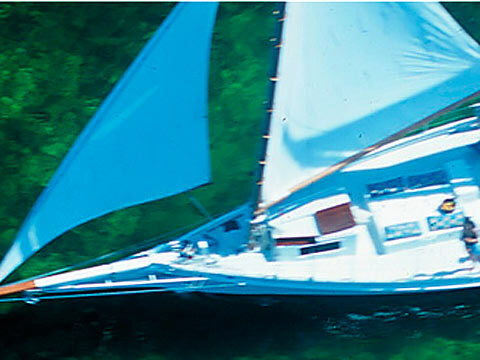 You feel as if youâ€™ve stepped back in time, back to the days when the Florida Keys backcountry was home to traditional, shallow-draft sailing craft, captained by local water men that had grown up sailing and navigating the notorious shallows and challenging narrow channels of the Florida Keys. Dangerâ€™s captains and crew are committed to providing guests with an unparalleled, natural island experience... Both The Danger and Dangerâ€™s Prize are traditional American sailing craft known as "Skipjacks". These boats were originally designed and built to dredge oyster beds in the Chesapeake Bay region during the late 19th century. In the early 1900s, Skipjacks were sailed down to the Florida Keys to work as sponging and fishing vessels. Their shallow design, coupled with a huge amount of sail area, make these vessels ideal for sailing the backcountry. There is no better way to experience the incredible natural beauty of the Keys than under a cloud of sail, in shallow and protected waters that provide flat seas even on the windiest of days!Rated the #2 Sunset Cruise in North America by Coastal Living Magazine, Danger Charter's Wind and Wine Cruise is unparalleled for folks who want an upscale, yet relaxed and intimate, sunset sail. The Wind and Wine tour sails nightly.